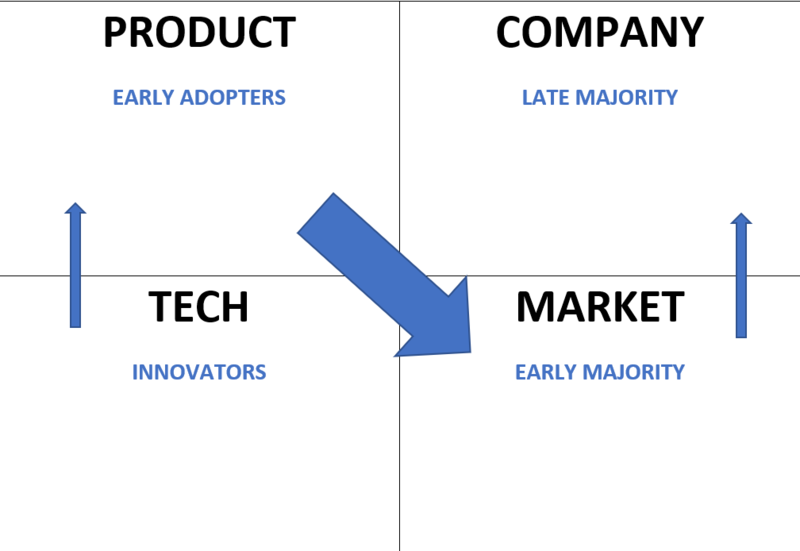 Crossing the Chasm is Geoffrey Moore‘s bible on what it takes to bring innovation from market entry to widespread adoption. The chart below was the standard diffusion model of innovation (in tech sectors also called: technology adoption life cycle). 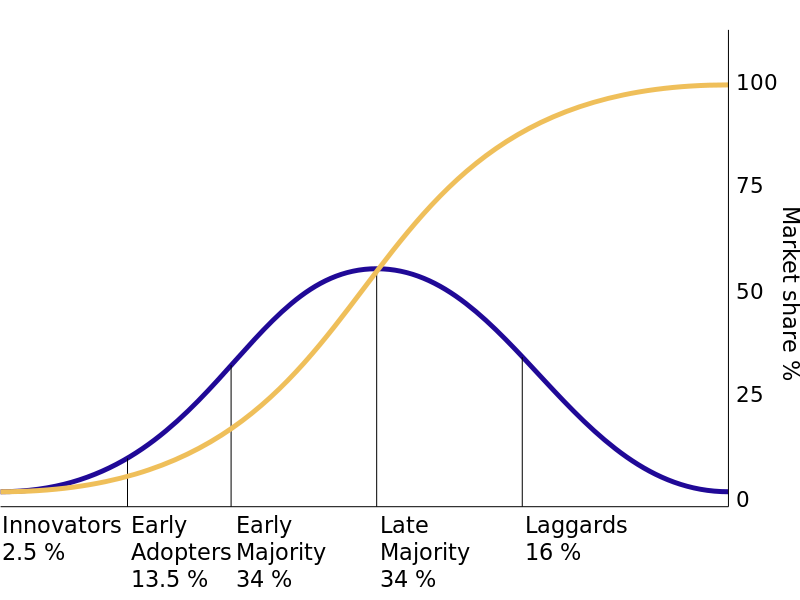 Before Moore it was usually thought to be a linear Bell Curve distribution. Innovators love technology themselves. They sometimes scout the market and seek novelty before the technology has even been officially launched. Innovators want to be the first. Winning them is key because early deployment proves that the technology works and the product is viable. Early Adopters are visionaries and understand technology, but are not high tech geeks themselves. Their goal is not one of technological innovation per se, but a business goal. 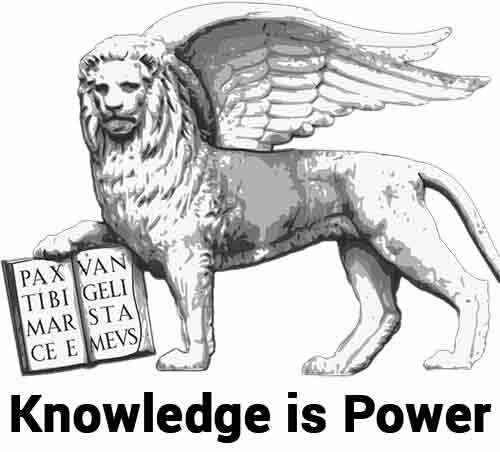 For visionaries technology is a business opportunity. 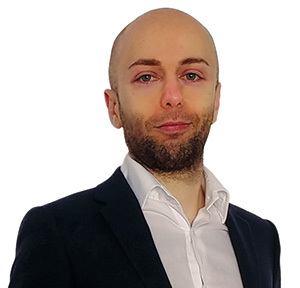 They want a breakthrough and they embark in high risk and high visibility adoption projects. Since the technology is so new, Early Adopters are willing to take a risk and they will work with fresh and unfunded vendors. 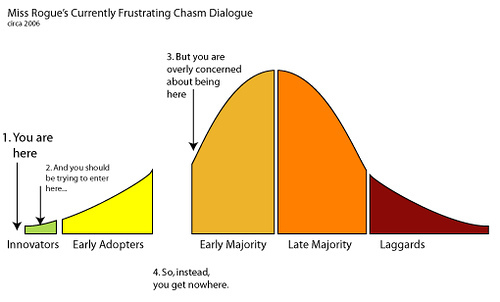 Moore says that Early Adopters are easy to sell to, but they’re not easy to please: they have a dream and they might be unhappy with the issues standing between dreams and reality. Moore says Early Adopters is not where the real money is. The real money lays with more prudent buyers who want to see a technology tested in the real world. The Early Majority also understands the technology, but they are much more pragmatic. They don’t necessarily look at what visionaries do but at how the technology will fit in their existing business. These guys are harder to sell to: they care about buying from an established vendor, the reliability of the product and the interface with other systems. The issue can also be a cultural and communication one. Pragmatists communicate best with other pragmatists and with people in their own industry. The Late Majority has all the concerns of the Early Majority but they are not well versed with technology. These guys dislike disruptive technology and wait until the new technology has become the established standard. They don’t want the new technology, for whatever reasons. They are usually not worth pursuing. Moore demonstrates though that there are gaps between each different groups. And it will be difficult for each group to adopt the new technology if you present it the same with which you presented it to the earlier adopter. This first gap happens when a hot new technology cannot translate itself into a major business benefit. Since the late majority doesn’t have the same tech skills as the preceding groups, the product must be made increasingly easy to use. Then this group will be comfortable adopting it. Geoffrey Moore says the chasm can go unnoticed because customers and order sizes can be the same. What changes though is the reason why they order in the first place. The early adopter buys for an edge on the competition -and as we’ve seen are ready to bear with a few glitches-. The early majority guy buys an improvement on the existing process. They’re not looking for a revolution but for a system that works reliably and with no surprises. The author recommends that you focus on a single market that you can dominate. DO NOT start selling randomly: your goal is to secure a beachhead on a single niche market. Once you dominate that single market you can then use it as a stronghold to move to the adjacent markets. Pick one market niche and focus all of your efforts there. Focusing on one niche will keep your costs lower as you can repeat and use the same processes and knowledge across similar companies. Pick a strategic niche, one that will be easier for you and that has good links with adjacent markets. Create your product not with tech first in mind by with your customers’ problems in mind. Present your product as a ready to go solution. Think of integrations, installation, training etc. Position yourself and standardize your communication. Reduce your competitive advantage to a two sentences formula. Get a sales force using consultative selling and a team of application and tech experts to develop and propose solutions. In the early market you showcase tech superiority and product. In the mainstream markets you showcase company credibility and market leadership. The current digital world offers a new opportunity to jump the chasm with mass market disruptive innovation (this is only in the third edition of Crossing The Chasm). Basically, when you have a B2C digital product which can go straight for the consumers and you don’t need any distribution channel there’s no chasm for you. Example are Instagram and Tumblr. Also read Zero to One and Disrupt You. How to get users quickly? Virality and quick adoptions are key, read more on The Tipping Point and Made to Stick. Moore says that while crossing the chasm means you get paid as you move forward, the new digital disruption is more of a URL approach: ubiquity first, revenue later. 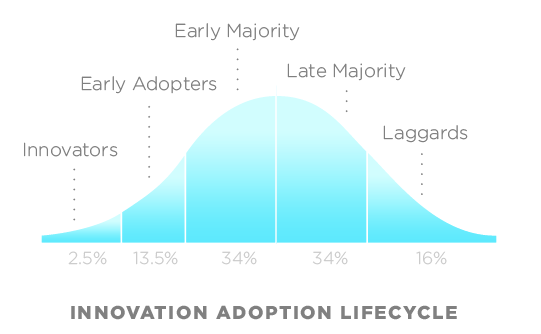 The gap between early adopters and the rest makes me think that you might want to have technically savvy salespeople early on and then more business savvy people later on. This is just my thing, but I really dislike the continuous referencing of war terminology for business. I remember as a salesperson it was always about “trenches”, “going to war” etc. It always seemed stupid and… Plain wrong. See yourself as adding value, not launching an invasion. Crossing the Chasm doesn’t apply to all fields. As the author himself says, it’s for disruptive innovations and B2B. It’s not for incremental innovations (continuous or sustaining innovation) and B2C. 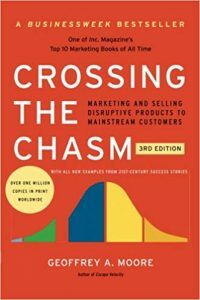 But Crossing the Chasm is a great read for everyone. No matter the industry, the psychological principles apply anywhere. And if you’re in tech B2B, then it’s an absolutely must read.